Scottsdale Fashion Square is located in the heart of Scottsdale, making it a destination for both locals and visitors to the area who want to have an indoor shopping experience. With more than 250 stores and restaurants, Scottsdale Fashion Square is where everyone can shop. The rich and famous will rub shoulders with the everyday locals at the mall that has more than 40 exclusive retailers not represented anywhere else in Arizona. The anchor, or main stores, at Scottsdale Fashion Square include Macy's, Dillard's, and Nordstrom. In addition to the food court restaurants, you'll find Kona Grill, Johnny Rockets, and Yard House. The Enchanted Kingdom Play Area is a free play area for toddlers located near Nordstrom on the third floor. Scottsdale Fashion Square is also where you'll find Harkins Camelview movie theaters. If there's a mall where you are likely to see celebrities, this is the one. Scottsdale Desert Stages Theater is a non-profit community theater located on the northeast end of the mall. The mall is located on the northwest side of Scottsdale Road and Camelback Road. You can see this location marked on a Google map. From there you can zoom in and out, get driving directions if you need more specifics than mentioned above, and see what else is nearby. The trolley is great if it fits your schedule, or if you are staying in Scottsdale and don't have a car at your disposal, but most people drive. There is both covered and uncovered parking at this mall. The Scottsdale Downtown Trolley is free to ride, and stops at Scottsdale Fashion Square. There is also a free trolley that stops at various Paradise Valley resorts (Sanctuary, Camelback Inn, Montelucia and Chaparral Suites) before stopping its destination at Scottsdale Fashion Square. The Talking Stick trolley travels from the Talking Stick entertainment district to Scottsdale Fashion Square. The mall is close to Scottsdale's Fifth Avenue Shops, Scottsdale Arts District, Old Town Scottsdale, and the Scottsdale Center for the Performing Arts. Across Camelback Road is a mixed use project called The Waterfront, with more retail shops and more restaurants. The Fiesta Bowl Museum is there, too. Stores and restaurants open and close, and mall programs and other features change from time to time. 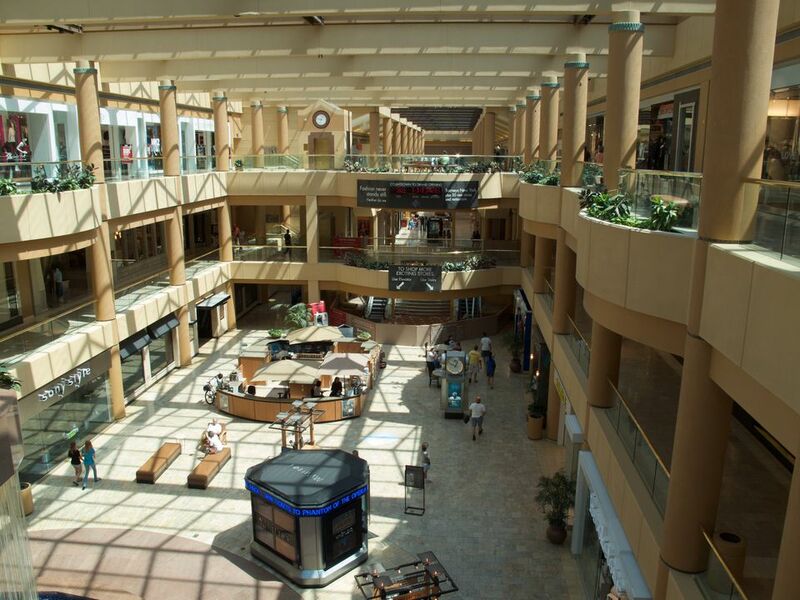 For the most up-to-date information about the mall, visit Scottsdale Fashion Square online. Experience Native American outdoor performances in Scottsdale. They're free! Where Is Saguaro Lake in Relation to Phoenix?